Today, the OECD (Organisation for Economic Cooperation and Development) launched its Better Life Index for 2013, ranking 36 countries based on focus areas considered essential for well-being. Luxembourg is number 14. “Our Better Life Index goes beyond the cold, hard numbers of GDP to really get an understanding about what matters for people and about what they want and need out of their lives and their societies,” says OECD Secretary-General, Angel Gurría. “What matters” has in this context been divided into 11 areas, which have been measured in the 34 OECD countries plus Brazil and Russia. Luxembourg and its neighbouring countries are very close, with Belgium as #16, Germany #17 and France #18. Luxembourg residents spend more money than most buying a home, and in return they get more space than most. Money is good, and so is job security, so quite a few can afford to buy these expensive houses. Income inequalities are also low, despite an increase in poverty, and benefits are generous. The OECD does suggest however, that benefits could be better targeted to benefit both growth and equity. The unemployment rate is below OECD average, yet higher than average for young people. The gender gap is also higher than average, and it is hardly surprising that there are fewer women who work than men. Also, it is more difficult to find a job without higher education, so the job market is somewhat restrictive. Feeling supported but not safe? In general, people in Luxembourg feel they have support and a social network, but slightly fewer help strangers than the OECD average. Most people also feel they have enough green spaces, and Luxembourg residents can breathe more freely in terms of air pollution than in most other OECD countries. Most people feel they can trust their political institutions, and the voting rates are much higher than average. But although some may have a Disneyland feeling, people in Luxembourg actually don’t feel very safe. More people than average are afraid of walking home at night and assault and homicide rates are higher than average. You are quite well taken care of in Luxembourg; the total health spending per person is well above average. In terms of health related to lifestyle, smoking rates are lower than average, but obesity rates are higher. 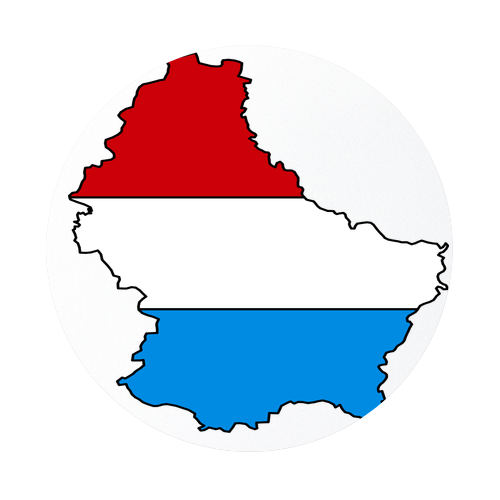 Life expectancy in Luxembourg is 81 for men and 84 for women. Education in Luxembourg leaves quite a bit to be desired quality wise: The PISA scores (Program for International Student Assessment) are lower than average in the OECD, and Luxembourg has one of the biggest gaps in education between groups of different socio-economic backgrounds. This quick summary might offer quite a few reasons why so many expats end up staying in Luxembourg. To quote the OECD: “While money may not buy happiness, it is an important means to achieving higher living standards and thus greater well-being.” And, in general, people in Luxembourg are slightly more satisfied with their lives than the OECD average, with 83% of people saying they have more positive experiences in an average day than negative ones. But it also indicates areas of improvement, both on a political and a man-in-the-street level. Like helping a stranger, adding a positive experience to the day. For more details, check out the OECD Better Life Index. It is interactive, so you can compare countries and even rank the criteria to see where you might want to move to next!